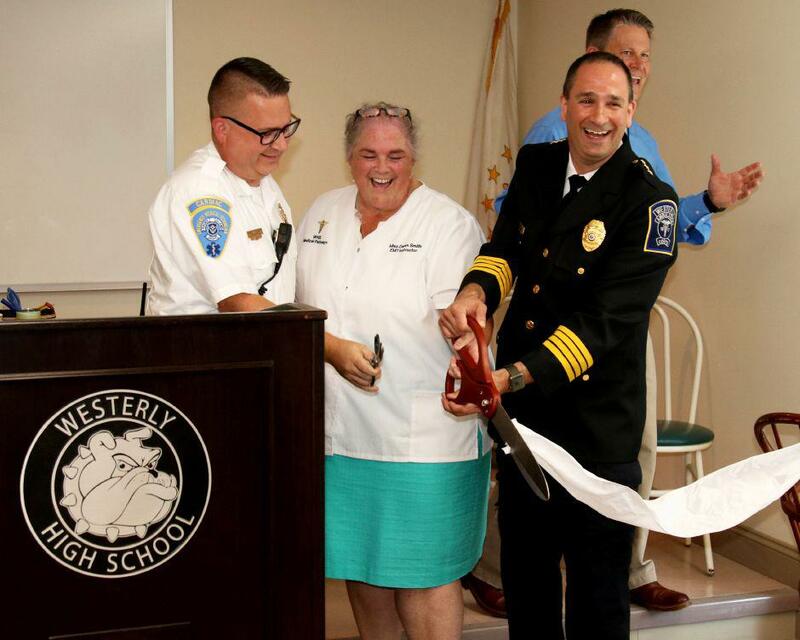 The Westerly Ambulance Corps, Inc.
WESTERLY — Looking sharp in their new navy blue medical scrubs, about 40 Westerly High School students in the inaugural class of the Westerly Public Schools CTE-Medical Pathways Program celebrated its launch Tuesday at the Westerly Ambulance Corps. The program is an opportunity for the students to take core classes to prepare them for a career in the medical field, whether as an EMT or other caregiver. “We are very excited about the launch of this program and the opportunities it’s going to provide for you,” Superintendent of Schools Mark Garceau told the students. The students will take daily classes at the Westerly Ambulance Corps building on Chestnut Street. When they graduate, they will be certified in advanced CPR, emergency medical response for traumas and emergency medical technician basics to assess and care for patients at an incident. Kevin Cronin, Westerly High School CTE program director, said it will allow the students to focus on their interests in medical professions. “They’re being empowered to personalize their own educational path and these students here are certainly seizing this chance,” he said. He thanked the ambulance corps Chief Ronald MacDonald III, Assistant Chief Michael Brancato and Administrator Kenneth Richards III. He also thanked the Westerly School Committee, Garceau, Assistant Superintendent Alicia Storey and Westerly Hospital. 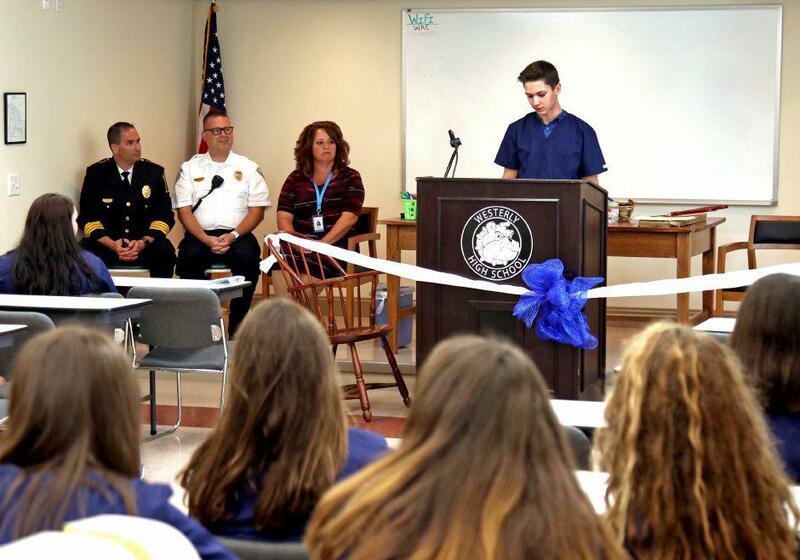 Brancato welcomed the students, dignitaries and ambulance board members. Their instructor will be Dawn Smith, a longtime EMT, member of the ambulance corps and a board member. Smith could hardly contain her excitement about the program’s launch: She personally ironed the students’ new scrubs in her home over the weekend. 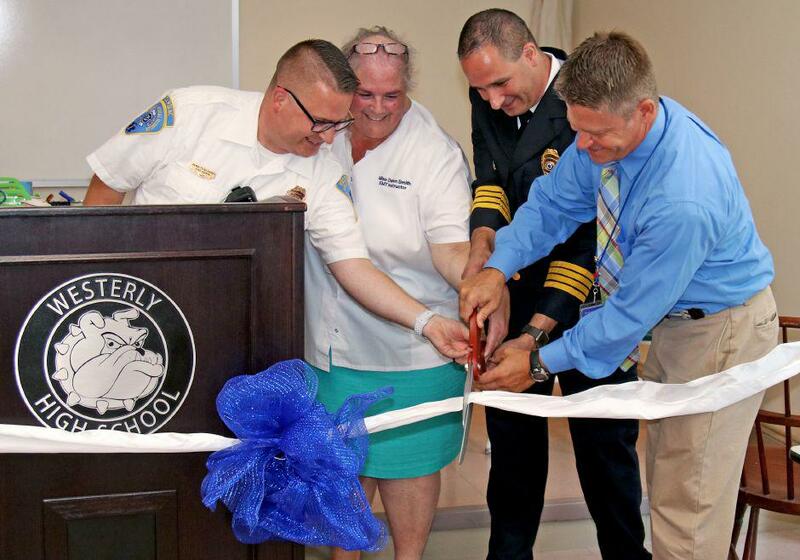 Smith, an EMT instructor who also taught music in the local schools for many years, said that when she earned her EMT license, she felt that the courses should be taught to high school students. 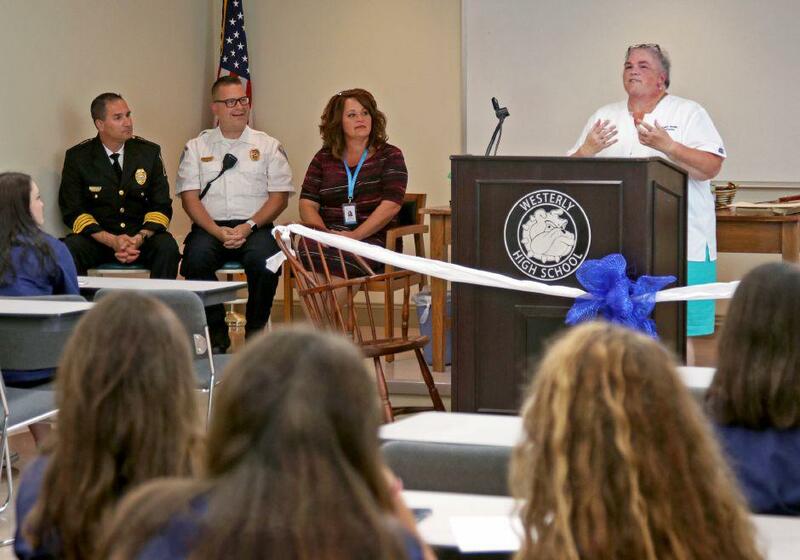 Smith’s dream was always to incorporate her love of teaching with her EMS experience, Brancato said. “Today Dawn’s dream has been fulfilled,” Brancato said. Ninth-grade students will begin with an introduction to medical careers and physical science courses. The years that follow introduce EMT classes, biology, chemistry and anatomy courses, and internships in their senior year. The internships with the Westerly Ambulance Corps involve potential partnerships with several health care providers, including the Lawrence + Memorial/Yale New Haven and Westerly Hospital network, South County Health, Medical and Wellness Center and South County Orthopedics. “We’re trying to get kids to graduate with ready skills,” Smith said. Freshman Hannah Nicholson and senior Mathieu Brissette are in the program, and spoke at Tuesday’s event. Brissette will take classes in anatomy and physiology, medical careers and environmental science.